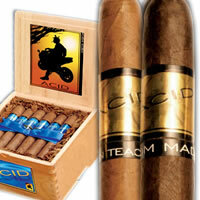 The Drew Estate Cigar Factory and Drew American Factory are located in Esteli, Nicaragua. Home of the most highly acclaimed tobacco in the world, Esteli Nicaragua is where we decided to set up operations after a 5 year apprenticeship, working with various Cuban cigar manufacturers. Drew Estate received a lot of support within the cigar industry from other manufacturers and farmers. However, it has been the Nicaraguan people who we are truly grateful to, for taking great pride in the quality and reputation that we have built over this incredible period of time. We have made it our business to live as close to our farms as possible. Drew Estate takes great pride in cooping with the most respected farmers in Nicaragua, Honduras, Ecuador, Mexico, and Cameroon Africa. We intend to establish a new joint venture with a farm located in the Dominican Republic within the next year.